Hyper-connectivity has become an inevitable way of the future. To survive in the future, startup entrepreneurs, enterprises, and innovative technology leaders must stay prepared to face the challenges supposed to be posed by some innovative future trends in the technology and in digital mesh. Consequently, they will also need to analyze how the disruptive trends will influence people, business, and IT departments. Understanding the need, developing the skills and boldly facing the opportunities will provide them with a competitive advantage. The era of the digital mesh has arrived and it is here to stay and evolve. The wearable devices, smartphones and the Internet of Things sensors used by people to find information and communicate with each other together contribute the digital mesh. This device mesh or the digital mesh will be dealing with the ever-increasing set of endpoints. It is predicted that by the end of 2018, there will be about 6 billion connected things, which will need extended support. Moreover, by the end of 2021, an estimated 28 billion connected devices will exist recording a growth of 21% in just three years. Further prediction ascertains that in the same year about one Million IoT devices will be purchased and installed every hour. Enhanced blockchain, distributed ledger, and digital twin’s capabilities will bridge the gap between real and virtual world thereby patronizing digital business activities. Artificial Intelligence and Machine Learning are the emerging trends, injecting them into existing apps and things will further strengthen the digital mesh. Eradicating security attacks with adaptive security architecture emphasizing on security-aware solution design will be on the forefront. Along with it, the artificial intelligence enabled users, entity behavior analytics & new architecture, methods and tools are expected to address the security of IoT and digital mesh. Plan for a long-term; say for at least next ten years. Because a significant phylogeny in user experience for both customers and enterprises will take place due to the conversational system, Augmented Reality (AR), Virtual Reality (VR) and contextual user experience will be revolutionizing the way people interact with each other. Initiate exploring new opportunities of creating systems, solutions or apps where you can utilize Artificial Intelligence and Machine Learning capabilities. In the immediate years, is foremost important for you to start canvassing targeted and high-value use cases offering opportunities to apply AR and VR, start building digital twins for IoT initiatives, adopt blockchains, and distributed ledgers. Venture into developing application designs and operations with a security mindset. Equivalently, try to augment preventive controls along with security monitoring with user and behavior analytics. Digital business is a comprehensive topic covering how business designs, industries, markets and enterprises will be transformed after obnubilating the boundaries between the physical and virtual world. The proceeding development in digital business is actually manipulating modern business models to the closely ordinate physical and virtual world for employees, customers, and partners. 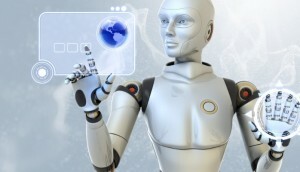 The digital business in the future is expected to introduce technology in every other element. The aim of the digital revolution is to deliver astounding digital services to everyone and everything and to introduce intelligence in almost everything. This is nothing but a digital mesh of people, devices, content, and services that are going to be intelligent and radical in the coming years. As a responsible and opportunistic startup entrepreneur, innovative technology leader or an enterprise it is about how you play your role in responding to the disruptive technological trends of the future; consequently, embracing the evolving trends meant to inject intelligence into the existing digital mesh. Different technologies and techniques such as deep learning, neural networks, and natural language processing encompass AI and ML. In addition to that, some advanced techniques and technologies also empower systems possessing the potential to understand, learn, predict and operate without any input or guidance from humans. In short, AI and ML not only make machines or systems to understand but also enables them to learn in a given environment. 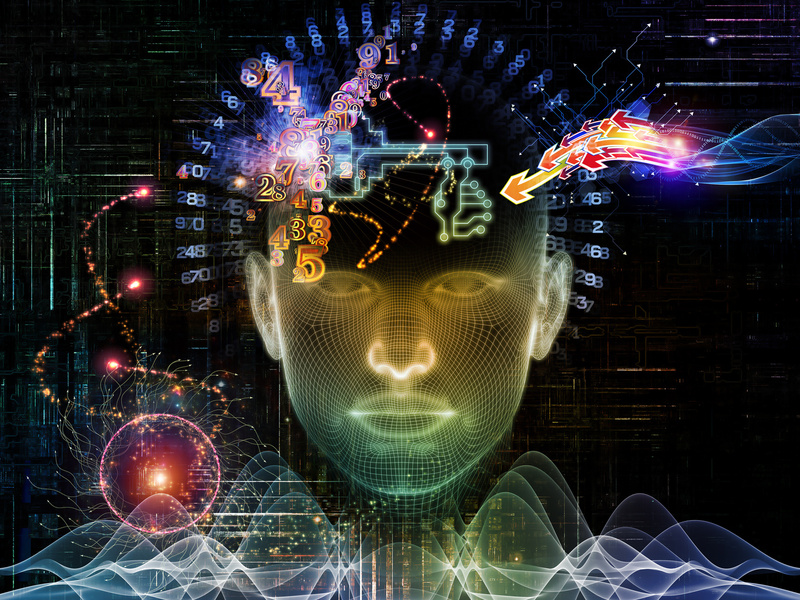 Machine learning is a concept that infuses intelligence in a system to change its behavior accordingly. For example, the huge medical database gathered in case histories makes machines smarter. It enhances the learning capacity of the machine empowering it to offer their insights in increasing the effectiveness of the treatment. These smart machines are on the way of becoming augmenters of productivity and accuracy. By evaluating the options and business domains where AI and ML could bring outright business value, enterprises and technology leaders have better chances of taking the competitive edge. A significant investment in skills, process, and tools will be a good move in exploiting the future technological trends. Already the trend of creating intelligent apps is catching up as organizations are introducing AI and ML technologies. A new genre of intelligent apps and new app categories like Virtual Personal Assistant (VPA) are transforming the nature and structure of traditional workplaces. Nevertheless, these apps are still in infancy; but with the introduction of emerging technologies and techniques, they can be easily transformed into more mature or more robust performing apps. In coming years, every app in one or the other way is supposed to have some level or some amount of AI. 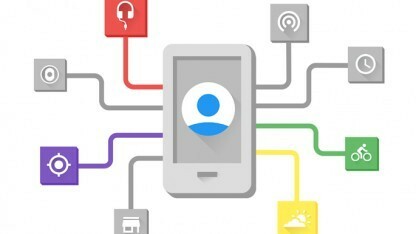 Google Now, Microsoft’s Cortana and Apple’s Siri are the best examples to demonstrate how these apps matured to become the type of intelligent apps they are today. Using Facebook Messenger Chatbots and empowering it with AI to make intelligent apps will be a common practice in the future. Due to the increasing use of AI and ML tools by the packaged app service provider to offer robust systems makes it a future battleground. Analyzing and identifying the opportunities to apply AI in a much suitable way for offering concrete business results must be your focus. 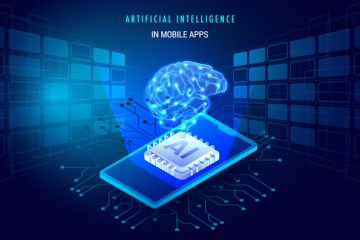 The future trend of intelligent apps is all about establishing a process to evaluate the use of AI, using persona based analysis for determining the opportunities and comparing roadmaps. It is also about embracing smart apps strategies, using the complete toolkit of big data and analytical tools to refine offerings and enhance customer experience. Intelligent things are not mere than physical things, but with the capabilities to endure beyond the execution of rigid programming and exploiting the applied AI and ML. This makes it possible for them to deliver advanced behaviors and adopt natural charm while interacting with surroundings and people. We can fit these intelligent things into three loose categories; Drones, Robots, and Autonomous Vehicles. Just like intelligent apps, it is hard for an intelligent thing to come into existence without the use of AI and ML. As of now, autonomous vehicles in controlled settings are the best example of the internet of things. Many automobile giants and some of the well-known brands will be investing heavily in R&D and testing of their autonomous vehicles. The newly found and evolving AI, Machine Learning models, and algorithms are supposed to incur substantial transformation the technical aspects of autonomous robots and drones. The latest technological trends are expected to be increasingly used in transforming everyday things such as consumer appliances, hospital equipment, and much more. To challenge the status quo on robotics you need to create a business scenario and business outcome mappings to identify and explore the opportunities to fulfill the strategic plans of your organization. Try-n-test the use of evolving intelligent things in manual, semi-automated and automated tasks. If possible, understand and develop a predictive and proactive test model offering a clear view of how your organization will play an important role in bringing value to the future digital ecosystem. 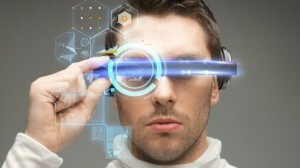 Augmented Reality (AR) and Virtual Reality (VR) are parts of a new wave in computing technology. Both these immersive technologies are expected to transform the way people interact with each other and with the software systems. VR is used for training purposes and for remote experiences. On the contrary, AR blends the real and virtual worlds in an elegant manner. Thus, businesses can now overlay graphics or graphical images of the real-world objects. As of now, AR and VR technology is limited to consumer niche. We can easily experience it while watching 360-degree immersive videos or while playing some new-gen immersive games. Businesses have explored the opportunity to use mobile VR for marketing their products and services as well for communicating with their employees. By using the power of virtual worlds along with augmented spaces for integrating it more effectively with the human perceptual system for achieving greater impact. It is expected that the VR and AR, both the immersive technologies are going to evolve dramatically until 2021. The year 2017 and 2018 will record a significant growth and evolution in the technology and market of HMDs. In the future HMD is going to be on the forefront due to widespread adoption; either for playing video games or for watching videos. As the HMD technology will be evolving drastically, finding the opportunities that will establish your organization’s worth in the market is worth to gain momentum and reputation in the market. 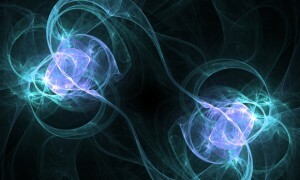 Entry of digital twins in the emerging technological trends is expected to take the digital revolution to new heights. It is a dynamic software model related to physical elements or systems relying on sensor data to analyze and understand the thing or a system. Digital Twins are a combination of metadata, condition or state, event data, and Analytics supposed to act by responding to changes, improving operations and adding value. In the next five years, Digital twins are supposed to exist in billions of potential things as the connected sensors and endpoints will reach about 21 billion marks. Ease in optimizing asset and great user experience will be the outcome of this revolutionary technology. The use of digital twins will initiate from high-value/complex assets to low-value assets depending on the use of the model. The likeliest use of digital twins might occur in repairing equipment’s and planning for services, to increase operational efficiency or for anticipating equipment failure; it might find a way to be used in planning manufacturing process. As of now, only a few selected professionals as if product engineers and data scientists utilize digital twins, that too in selected industries like manufacturing and utilities. The major expectations from startup entrepreneurs, innovative technology leaders, and enterprises are to concentrate on digital twins anticipating the immediate business value. Aggression is expected to explore the underlying opportunities in digital twins. Seeking IoT solutions, IoT software or IoT devices offering digital twin templates will prove beneficial to create a digital twin for a particular need or an asset. When all participants across a network share a cryptographically signed, irrevocable transaction record, we call it a Distributed Ledger. A link to the previous transaction record and a timestamp are the specialties of this ledger. On the contrary, a Blockchain represents a distributed ledger contains a block of sequentially grouped value exchange transactions. All the blocks are connected with each other, forming a chain and using the cryptographic trust and essential security assurances are recorded through a peer-to-peer network. Due to the potential of transforming industry operating models, Distributed ledgers and Blockchains has gained optimum attention. Along with the finance industry, this trend will make a revolutionary transformation in music distraction, identity verification, title registry, and supply chain. However, inefficient scalability, missing transparency, resource consumption limitations, operational risks and inability to accommodate today’s account framework makes it quite hard to trust. In addition to that, it also lacks standards, robustness in the platform, scalability in the consensus system and Interoperability of mechanism pose great challenges in adopting the trend. As of now, many distributed ledger system initiatives are in the early alpha or beta testing phase. With the incorporation of assets, data and executable programs, recent blockchain and distributed ledgers are offering tremendous opportunities for customized application development. If you are able to find any solution pertaining to the viability of the technology, security, scalability, interoperability, and legal issues, then the ecosystem will definitely bring value to the organization. It will be better if you start monitoring the changes in distributed ledger development like consensus mechanism, the blockchain, and sidechain. In order to make the digital conversation more human like the uprising trend in conversational systems is anticipated to mimic many aspects of natural human behavior. During the evolution of computers from desktops to smartphones and now to wearables, each transformation in digital technology has introduced a new way human-device interaction model. In the coming years, it might be possible that we will start using intangible interfaces like voice and gestures, leaving behind touch and swipe action on the touchscreens. Not many users are satisfied with the current VPA system – since it addresses a broad set of questions and action scenarios. Amazon introduced Echo Appliances and Alexa Assistant by narrowing its focus, resulting in increasing its usability. The user experience will aggravate in the future with the evolution of AI back end in VPS systems and providers opening doors to developers for their benefit. In the next few years, the current conversational interface will no longer need a microphone and speaker as default tools. Instead, it will cover the entire endpoints that people are expected to use for accessing applications or information and for interacting. New types of devices and new endpoints will emerge in the future shaping the future of conversational systems. 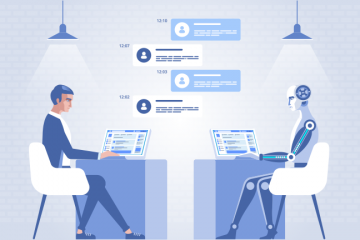 Although conversational system offers incredible digital business opportunities for shifting user experience, one has to take care of many security and management challenges on the way. Focusing on making privacy and permissions aspects in an app or in a system requiring a conversational model is a great early moving advantage for an organization. App development companies should elucidate app development policies targeting a multitude of coordinated devices working together; rather than targeting single device working in an isolation. 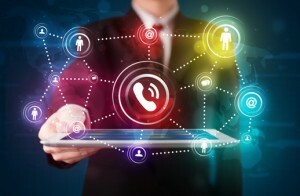 Supporting multiple users in multiple roles using multiple devices to communicate across multiple networks for accessing the functionality of an application is possible only for a multichannel solution architecture like Mesh app and Service Architecture (MASA). Balancing the demand for agility and scalability of services along with its reuse and composition MASA empowers users to have an optimized solution for targeted endpoints. MASA constitutes of Miniservices and Microservices as highly complementary service models. Miniservices reduce the range of service down to an individual capacity; whereas Microservices reduce the scope of service down to an individual feature of function optimized for agility and scalability. The MASA acts around a core principle of abstraction via APIs. Nowadays, serverless computing is the recent abstraction model evolving using the same principle. In the next few years, MASA will embrace ‘First Event, then the Response’ approach. MASA has a unique power to exploit both container and serverless computing apart from APIs and event connecting models. Thus, it supports more agile, flexible and rapid environment. Organizations must focus on developing or customizing the complementary use of service-oriented and event-driven architecture. This will lead to the transformation of MASA into a mesh of apps, events, and services. Information system platform, Customer experience platform, Analytics & intelligent platform, IoT platform, and Business Ecosystem platform are the five major digital technology platforms that are enabling businesses with the new capabilities. The trend represents how you can bring together a symbolic collection of technology capabilities and components in an interoperable set of services to develop or create applications mobile apps, and services. Much focus is on the IoT platform, offering a solid environment for communication, control, management, and security the IoT elements based on the ground provided by a collection of technologies and standards. Although IoT platform is looked upon to bring radical changes, it is still fragmented, immature needing composite integration efforts. Conversational AI platforms or CAPs along with IoT platform emerged to deliver breakthrough customer experience, advanced analytics, and intelligence. Focusing on these platforms delivering a new paradigm of rich AI support for pervasive, proactive and conversational application development will benefit your organization. With defined skills and required expertise, start working on a multitude of AI services like NLP, sentiment analysis, deep learning, neural network and much more for extrapolating content from context. The ever-evolving digital technology platforms and the increasingly intelligent digital mesh has given rise to a complex world of security. Taking advantage of the existing security practices, Adaptive Security Architecture promotes the underlying value of the appropriate security to the businesses. The future trend in adaptive security architecture is about risks, compliance, and security, which is expected to be achieved by mature capability, security offerings through services, and combining performance, security, and quality to ensure effectiveness and efficiency. Network security, access control, vulnerability management, endpoint protection, and basic monitoring are the prime motives behind the emergence of the adaptive security architecture trend. The focus is on tackling significant security challenges posed by the scale and diversity of intelligent digital mesh. Security of endpoint devices will become crucial. 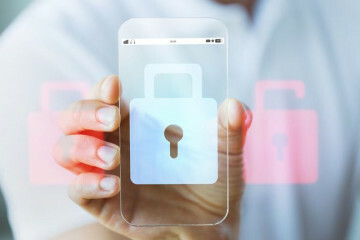 Right now, there is a disconnection between traditional IT security technologies and practices, relying on safety and security features and implying security features at the time of product development has become innately important. Ensuring the development of hardware and software resistant to attacks, ensuring the security of all access and communication channels by deploying optimum security technologies is necessary. Explore security technologies at fullest for securing IoT platforms. Make it a practice to monitor user behavior and entity responses, implement optimum monitoring of security management and management practices for high-end devices and endpoints to analyze and understand the possible loopholes in security. Remember, the Adaptive Security Architecture is a scenario frequently requiring recommendations tools and processes to be factored into IoT platform. 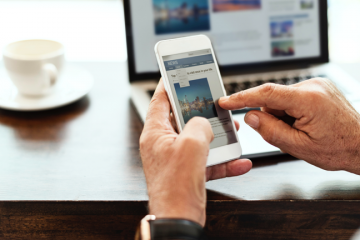 By 2020, the digital experience is going to become increasingly addicted, as it has already entered our lives through smartphones, tablets virtual personal assistants (VPAs), entertainment consoles in our cars and homes. An average person will be interacting more a bot with his/her spouse. After looking at the future technology trends, it is evidently clear that Artificial Intelligence (AI), Internet of Things (IoT), Virtual and Augmented Reality (VR & AR) as well as conversational user platforms are going to make a splash. The disruptive technology trends are actuating from being an infrequent inconvenience to a consistent stream of change, determined to redefine our markets and entire industries. Although digital innovations are prone to inherent risks, they also carry a prominent business value with them. Startup entrepreneurs, enterprises, and innovative technology leaders need to adopt a practical approach in recognizing these disruptive technological trends. In addition to that, they need to prioritize the impact of the disruption so reacting to this change and adopting the trends to deliver material value will become easier.